Who doesn't want a white, bright smile? I have tried a number of teeth whitening methods in the past and have never been happy with the results. Smile Brilliant contacted me a few months ago and asked if I would be interested in testing their teeth whitening kit, which I readily agreed to. I had never tried an intense method of teeth whitening, only things like whitening toothpaste, baking soda, and Crest Whitestrips. I was eager to see if a more tailored product would give me results! 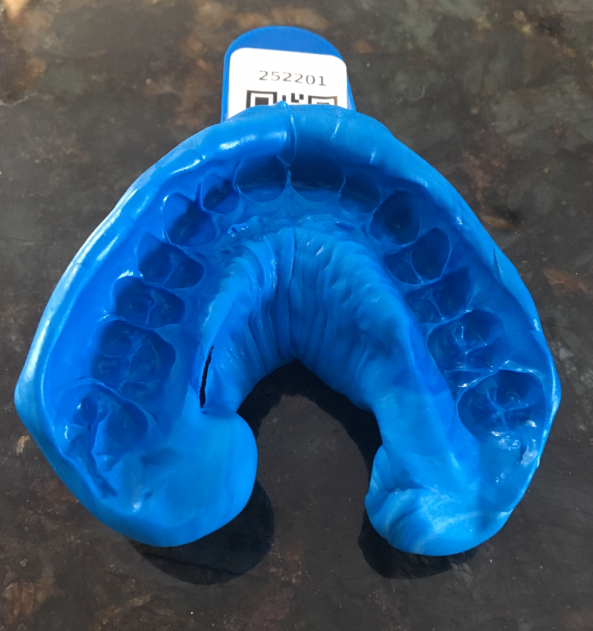 The package arrived within a few days and included everything I would need for the process, such as detailed instructions, a pre-paid envelope, whitening and desensitizing gel, and products to make upper and lower teeth impressions. Following the instructions carefully, I mixed the blue base paste and the white catalyst paste together. Both of these products felt like very soft Play-Doh and I mixed them until they were a uniform light blue color. Then I shaped the paste into one of the teeth trays and pressed my top teeth into it. The instructions showed photos of good and bad impressions and gave advice on how to get the best possible ones. I repeated this process for my bottom teeth and let the impressions dry. I suggest taking photos of the impressions and sending them to Smile Brilliant! A member of their team will let you know if the impressions are clear enough to make impressions from. The kit included an extra set of base and catalyst paste, so if you mess up on either your top or lower impressions you can redo them. 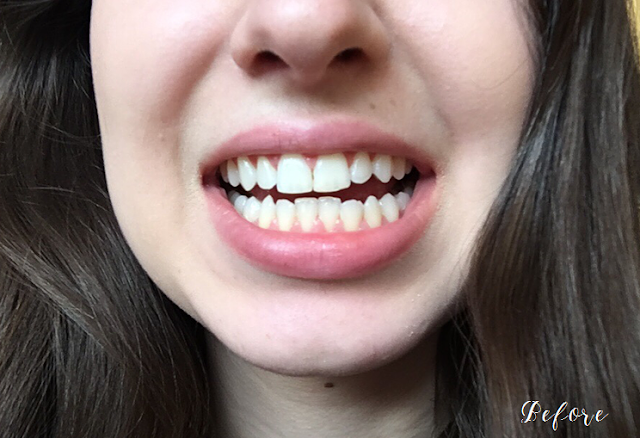 I sent in my first impressions using the pre-paid envelope and a few days later was informed that they weren't clear enough to make the custom fitted whitening trays, so I was sent more products free of charge to redo the impressions. The second time I got it right and my individualized teeth trays were made! They were sent to me so that I could get started on the whitening. Throughout the process of whitening I was given a lot of tips and advice on how best to use the Smile Brilliant products. Some people experience gum sensitivity, which can be reduced by coating the gums with coconut oil or Vaseline before whitening. Luckily I didn't experience a lot of sensitivity, but I think this is a great trick if your teeth or gums are more sensitive! Once I received my trays, it was pretty straightforward to begin the whitening process. The package I first received contained many syringes, some labeled "whitening gel" and others "desensitizing gel". To start whitening, you first brush your teeth gently with water to remove any plaque. Then you put a dot of the whitening gel into each teeth indentation in your whitening trays. It's advised to use about 1/4 to 1/3 of the product in the syringe with each session. Then you put the tray in and set a timer! You can leave the trays in for anywhere from 45 minutes to 3 hours, so I started with 45 minutes and gradually increased the time with each session. 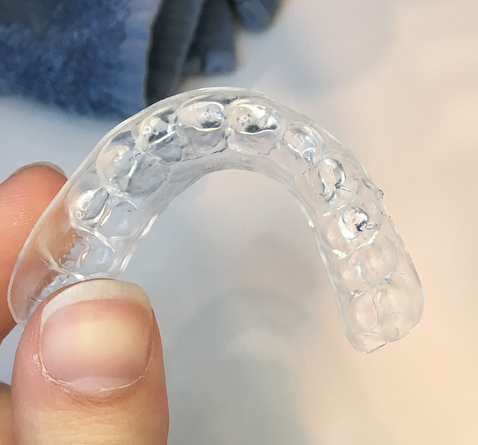 When I first put in the trays I felt a slight discomfort if the whitening gel hit my gums, but it quickly went away and was never painful. I liked to pass the time by taking a shower, washing my makeup brushes, doing a mask, or doing homework. For me, the best time to whiten was about an hour after a meal, that way I wouldn't be hungry with the trays in. After the whitening gel is done, you apply the desensitizing gel to the trays and leave those in for 15 to 20 minutes. In my experience I didn't have any pain or discomfort after each session. 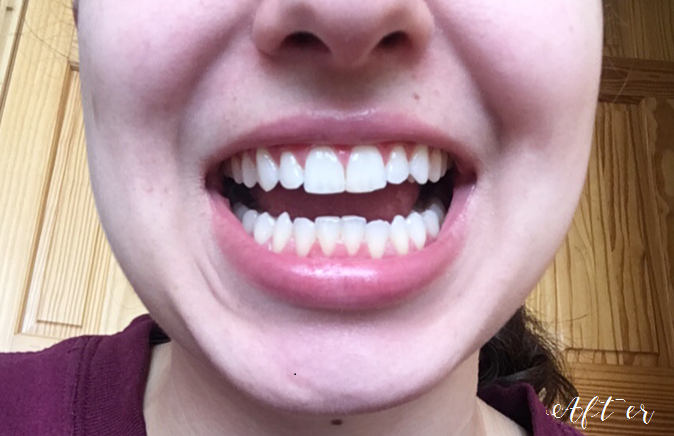 If I added too much whitening gel to the trays it could make my gums a little sensitive, but it wasn't bad at all, and again, there are ways to prevent or reduce that if you do experience it. I've been whitening about four times per week, but it is best to do it every day and most people start to notice a difference between 7-14 sessions. So how well did it work? I took before and after photos in the same spot in similar lighting so that I would be able to tell, and I notice a difference. The only difference between these photos is that in the top one I'm wearing makeup and have my hair down! I'm even wearing the same sweater. In person, I think that the Smile Brilliant products definitely took care of any stains on my teeth. I'm not a big coffee drinker, but I do love soda and that had given my teeth a yellow tinge. I think that my teeth are now the whitest they can naturally be without bleaching and damaging the enamel! If you have more stains from coffee, grape juice, wine, etc. you would likely notice a bigger difference. This isn't the cheapest method of teeth whitening but I do think it works well and quickly. If other products haven't removed stains for you, there is a good chance that a more personalized approach like the Smile Brilliant line would. They also have options for those with sensitive teeth, which is worth checking out! All you need to do to enter is go to the link and add your name and email address! The giveaway is open for two weeks and the winner will be contacted by email. It is open to anyone from the US, the UK, Canada, and Australia! I was also offered a 10% discount code for my readers! The code is beautyfromkatie. I would receive commission from this code but whether or not you decide to use it is entirely up to you! What do you think of the results? Have you tried any teeth whitening products in the past? 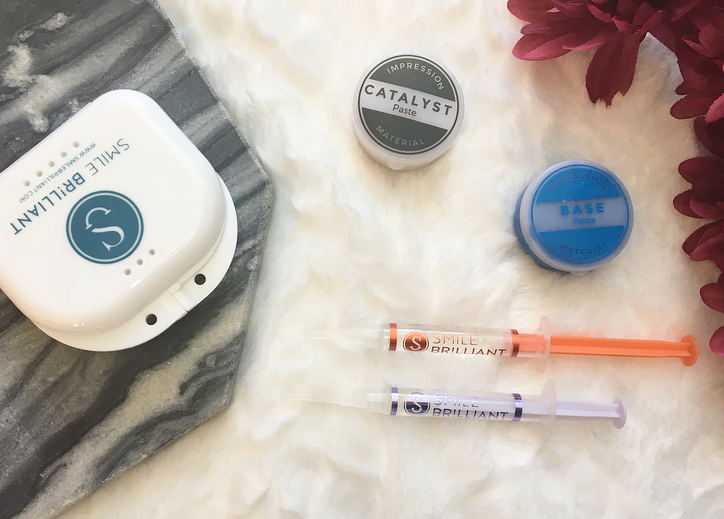 9 comments on "Home Teeth Whitening Review (and Giveaway!)" What a beautiful giveaway!! I wish I could enter!! I need to try a whitening kit, my teeth are really stained!! Your teeth look so good. I'm really self-conscious about my teeth because I drink a lot of coffee and wine so they're not perfectly white. Plus, I have not been to the dentist in a while (too scared). Smile Brilliant contacted me too, but we decided we are not a perfect match because I have sensitive teeth and long overdue for a root canal! too bad I can't participate in the giveaway, I just asked my dentist what my options for teeth whitening are few days ago :D I totally see the difference and your teeth look great!